Employees don’t quit organizations, they quit managers. It’s a frequently made claim but one that today’s organizations cannot afford to ignore. Repeated studies show that poor management performance is a major reason people leave their jobs. In fact, employees who rate their line manager’s performance as poor are four times more likely to be job hunting – and 40% are likely to have interviewed for a new job in the last month. 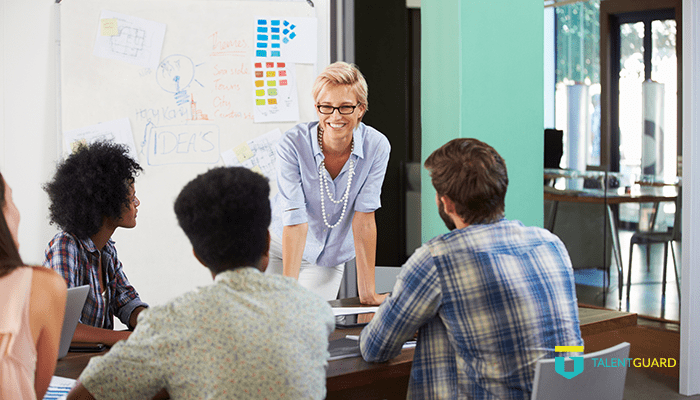 Implementing successful talent retention strategies is a problem that most organizations are all too familiar with, but your leadership has a significant role to play. To succeed as a leader in today’s workplace, with its rapid digitization and focus on the employee experience, an effective manager must have access to the resources and tools to excel in their jobs and create a positive culture. When it comes to leadership competencies, providing goals and objectives, together with clearly communicating expectations and a commitment to ongoing staff training are ranked in the top five. Provide career growth and development: An absence of career development opportunities is also one of the top reasons your staff leave, which are both linked to poor management performance. Only one in five employees (21%) feel it is easy to secure a new career role with their current organization. The remainder believe that career development and personal growth is only possible with another employer. Providing employees with the space and time to clarify their career aspirations is key to both engagement and retention and positive leadership. Offer mentoring: Mentoring helps to improve the performance of all of your staff. Someone who is meeting their goals can step up to the next level with the help of a good mentor. Team members who may be struggling to fulfill their objectives can be helped to meet their performance objectives with the right guidance. Recognize good performance : An acknowledgement or simple ‘thank you’ for a job well done or recognition of an employee who has exceeded their objectives can contribute to higher levels of job satisfaction and engagement. Organizations which enjoy the highest levels of retention provide their employees with learning and development opportunities and put the tools and processes in place to enable their staff to achieve their goals. Career pathing is the simple first step to improving the culture in your organization, serving a dual function as a career development and leadership tool which equips your line managers to better serve your employees. Career pathing allows for more flexible careers and offers ways to retain and engage your employees, while enhancing leadership. It enables your employees to map multiple career options, vocalize their career aspirations and identify the skills they require to make that step. From there, your managers are able to identify what needs to be done to build better relationships with their teams and create career growth options for your employees. Career pathing also empowers your leaders by enabling them to support employees and offer both mentoring and meaningful conversations to facilitate internal mobility. For organizations willing to take that one step further, career pathing can be combined with a continuous performance management solution that supports real-time feedback and career development planning, while recommending relevant learning resources for your employees. Building your organization around engagement and better leadership helps to reduce turnover, boost job satisfaction and create a high performance culture that attracts – and most importantly retains – talent.